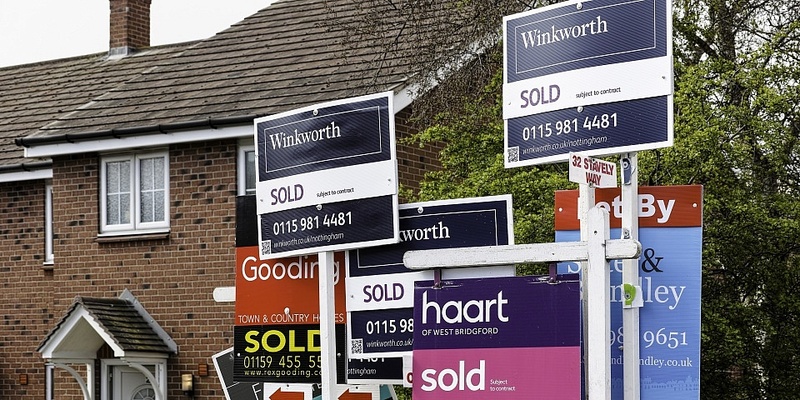 Half of all property sales fell through in the last three months of 2018, according to research by property-buying firm Quick Move Now. The finding, which covers transactions in England and Wales, represents a steep increase on the previous quarter of 2018, when a comparatively low 28% of transactions failed. So, why do fall-throughs happen and what can you do to ensure your property sells? Below, we explore the latest market activity and give advice on selling your home in 2019. If you’re planning to move house and want an expert recommendation on the best mortgage for your next home, call Which? Mortgage Advisers on 0800 197 8461. According to research agency TwentyCi, the number of properties on the market climbed by 4% in 2017, but exchanges fell by 1.2%. Brexit is likely to be a factor in this: with ongoing uncertainty around what will happen when the UK leaves the EU, buyers are understandably nervous. However, fall-throughs aren’t an issue across all of the UK. The percentage of 2018 transactions that fell through after a sale had been agreed was much higher in England (22%) and Wales (23%) than in Scotland (10%) and Northern Ireland (10%). According to Quick Move Now, the most common reason for failed property transactions is the buyer pulling out (30%). Gazumping, where the seller accepts a higher offer from a different buyer after the original sale has been agreed, accounts for 19% of failed sales. Issues revealed by a house survey were the third-highest factor at 16%, followed by difficulty securing a mortgage (13%), the buyer or seller feeling that things weren’t progressing (10%), other parts of the chain collapsing (9%), and gazundering (3%), where the buyer reduces their offer after the sale has been agreed. As a seller, not all of these will be within your control, but there are steps you can take to lessen the chances of a fall-through. If you’re in the fortunate position of having multiple offers on the table, don’t choose your buyer based purely on price. The buyer’s situation is important: if they’re chain-free (for example because they’re a first-time buyer or currently renting) they could be a safer bet. It’s also worth finding out whether they have a mortgage agreement in principle – a statement from a lender confirming that they’re willing, in principle, to lend a certain amount – as this will indicate the likelihood of their mortgage application being accepted. A good estate agent will vet potential buyers to check that they’re likely to be able to proceed with the purchase. It’s a good idea to choose a conveyancer or property solicitor before getting to the offer stage, but if you haven’t, make sure you do so quickly. Similarly, having all your paperwork ready can help speed things up and demonstrate to the buyer that you’re organised and willing to move swiftly (our guide to conveyancing when you’re selling contains a checklist of all the documents you’re likely to need). Keep in regular contact with the estate agent and let everyone know if you’re going on holiday and will be unable to answer queries or sign documents. If you’ll need a mortgage for the home you’re moving to, it’s worth talking to an independent mortgage broker for an accurate idea of how much you’ll be able to borrow. You may also need to weigh up the pros and cons of porting your mortgage versus exiting your current deal and applying for a new one. Call Which? Mortgage Advisers on 0800 197 8461 if you’d like a free chat about this. If your buyer has a house survey done on your property and it reveals problems, they may ask you to fix the issues or offer a lower price. Consider what they’re asking and take advice from your solicitor if you’re unsure. Many sellers have rejected such requests in the heat of the moment only to regret it when the sale collapses and they struggle to find another buyer. With more homes up for sale and many buyers reluctant to commit to a purchase before Brexit, fall-throughs are only part of the problem – actually receiving an offer has been a challenge for many. With this in mind, we asked NAEA Propertymark, which represents estate agents across the UK, for advice for sellers. Mark Bentley, president of NAEA Propertymark and expert on the West Midlands market, says it’s important that you manage your price expectations. He said: ‘Brexit is causing a great deal of uncertainty. Sellers don’t know whether to put their property on the market now and buyers are unsure whether to make offers. Meanwhile Katie Griffin, an NAEA representative based in the South West, told us: ‘Homes should be presented well, with excellent photography that is refreshed regularly. Find out more: how to sell your house – expert advice from Which? If you’re selling up and considering porting your mortgage or taking out a new one for your next home, you can have a free consultation with Which? Mortgage Advisers on the best option for you. Call them today on 0800 197 8461 or fill in the form below for a free callback.